Exam project: e-mail log analyzer (ProSys) _ Mathias Vestergaard Corp. The task was to build a program that would allow us to parse and analyze a series of well-defined mailinglist log files. 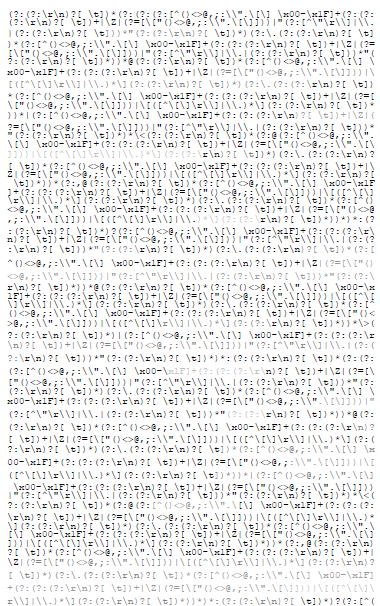 The actual effect of reading our project report can (for the twisted mind at least) be rather funny since we consequently translate all programming expressions into Danish. The illustration to the right is the RFC 822 definition of a valid e-mail adress, written as a regular expression.